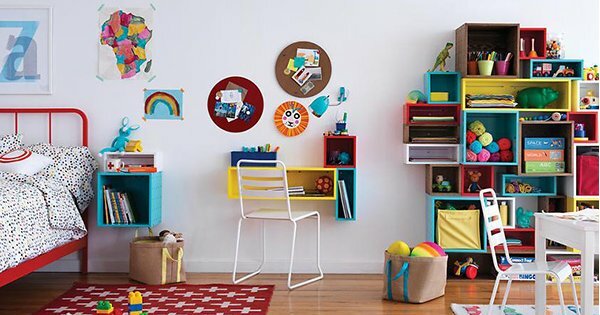 The Land Of Nod show us how to shelve it all in style! There are bookcases galore behind the glorious virtual doors of The Land Of Nod. We’ve found several super stylish shelving options perfect for the littlest of libraries and for showcasing much loved treasures. 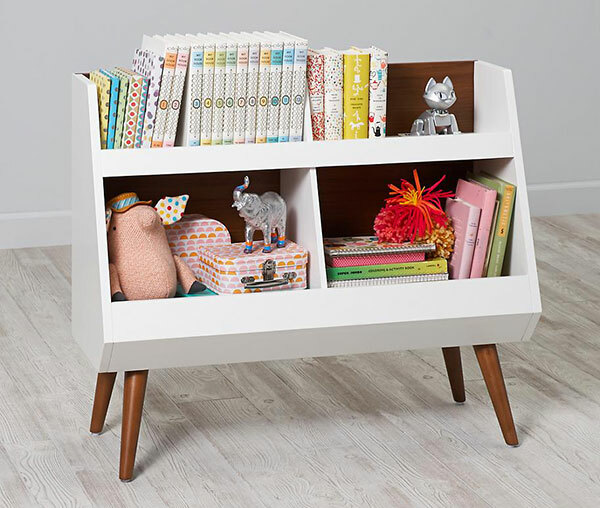 Click on through to reveal the cream of the contemporary bookcase crop! First up I give you my favourite, the Alto Bookcase, it’s a piece that is customised to suit your style – the shelf and base are sold separately, so you choose from a pink, midnight blue or white shelf (priced US$79) and pair it with a midnight blue, white or walnut base (priced US$169). 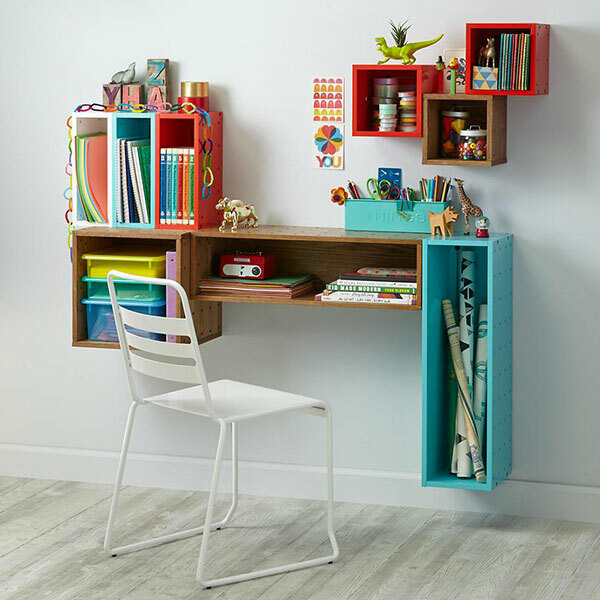 The semi-enclosed shelf style is perfect for a collection point for school necessities – library books, book bags, show and tell pieces – all in one spot. Those with an eclectic flavour to their design approach will no doubt love the Cubby Wall Shelf Collection. Cubby boxes start at US$35 for a 21 centimetre square box and you can choose from four sizes in five contrasting colours. It’s completely up to you how to set up your collection – you can create something beautifully symmetrical or fun and chaotic – whatever your heart desires! Anyone who has endured the challenge of fitting out a small space will know how imposing a solid bookcase in a small space can be. Consequently, I got quite a thrill when I spotted the Now You See It Acrylic Bookcase. Acrylic gives the impression of not taking up any space due to its clear build – storage without appearing to close in a room with something imposing. Choose from a Now You See It Book Cart, priced US$249 or a five cube Now You See It Acrylic Bookcase, priced US$249. I saved my runner up favourite for last, the very cute, squat set Next Chapter Bookcase, priced US$249. Available in a walnut and white combination or the cooler neutral shades of grey and white. 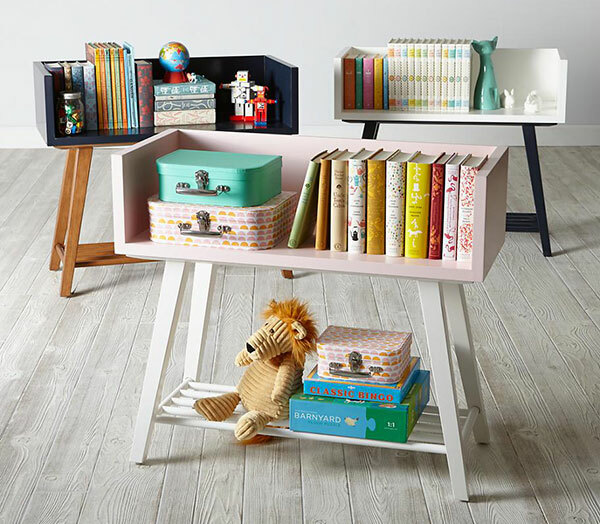 Four roomy compartments provide ample room for both books and treasured toys, it’s the perfect tool for storing all of your child’s favourite things, while keeping them easily accessible. 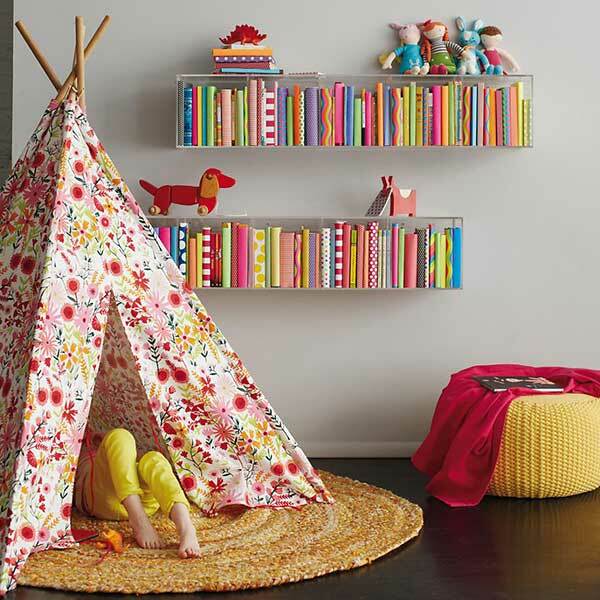 All bookcases are available from The Land Of Nod. Shipping to Australia is available, though international delivery requires an International Order Request. The friendly The Land Of Nod team will get back to you with a shipping quote before confirming your order.